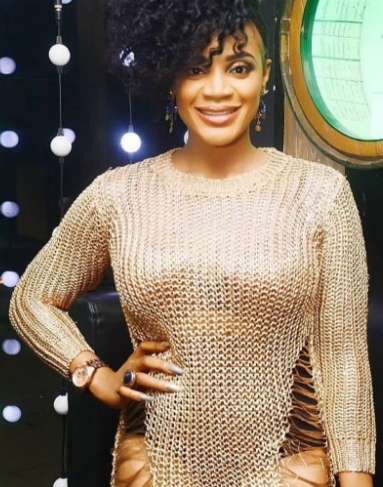 Nollywood actress Uche Ogbodo has come under heavy fire for allegedly looking down on Nigerians after a fan called her out for wearing a common outfit to her birthday party. 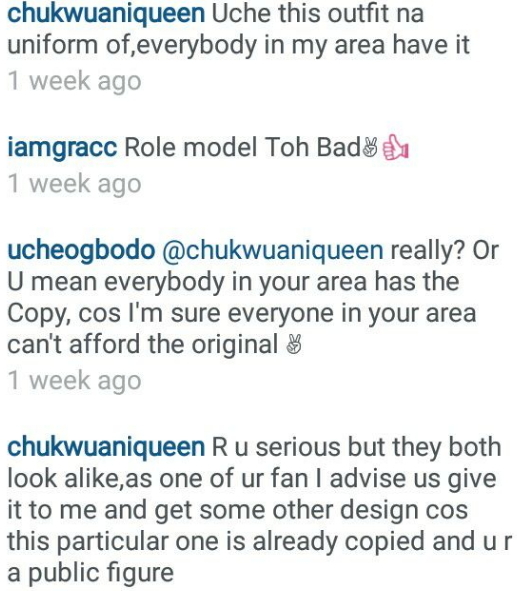 It started when a fan @chukwuaniqueen called her out for wearing a ‘public uniform’ to her birthday party. The mother of one quickly replied her saying she’s sure everyone in her area can’t afford the original outfit she wore to Papa Night Club in Lekki last week for her birthday. What a rude statement from Uche Ogbodo?? 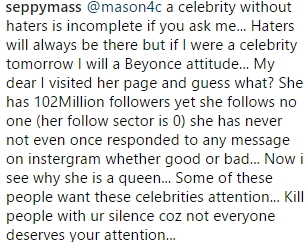 Nigerian celebrities should learn to adopt silence when it comes to matters like this. She was dressed like this all in the name of fashion, hmm Weldon ma! fine e no fine, ugly rag thing. LET HER BE WITHOUT YOU GUYS SHE IS NOBODY… SILLY WHORE CLASSLESS ASEWO………..
uche shut up who sold this fake cloth to you,is two type direct from china when order through net is just #3’500 only,main mkt onitsha prizes semi original is #1’700 short but long is #2’200 go to new shopping malls in main mkt off creeks road near head bridge u got assorted colour my sister is one of the importer and have shop there also.If she send it to abuja she will sell it for #6,500.Some nollywood dont dress well they wear fake. uche shut up who sold this fake cloth to you,is two type direct from china when order through net is just #3’500 only,main mkt onitsha prizes semi original is #1’700 short but long is #2’200 it have sweater and net materials some have open back .Uche ajipako just go to new shopping malls in main mkt off creeks road near head bridge u got assorted colour my sister is one of the importer and have shop there also.If she send it to abuja she will sell it for #6,500.Some nollywood dont dress well they wear fake.